Definitely worthy of number one. Did it make the MoFo Millenium list? Of course it did. And the All Time Top 100. Oh it did. Aren't you lucky. I wonder who all voted. I voted in both. I know Thursday Next and wintertriangles also voted for it in the Millennium list. Next I wanna do Ghost World. I could do it now if you want or we could wait another time. We can do it now, but give me a couple of minutes. 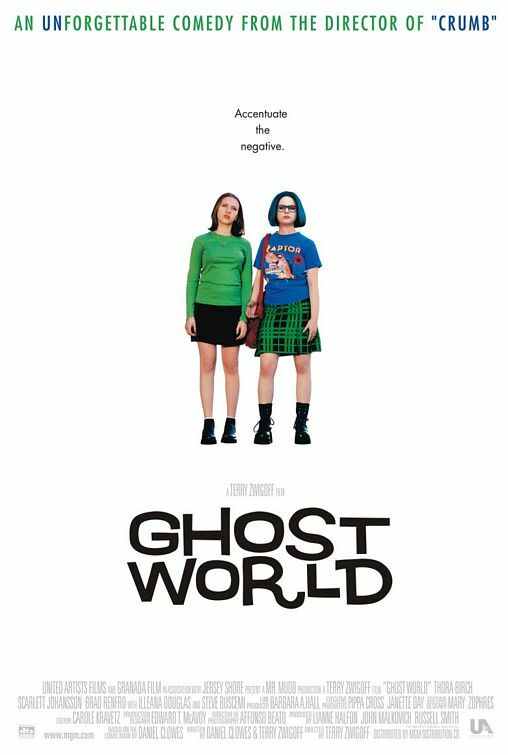 Ghost World was my #1 movie on the Millennium list. I was fortunate to actually see it make the list (at #45). Nope, sorry, am turning on the TV now. Now I am. You can press play. I don't think I've watched this many movies in such a short time ever before in my life. I like Crumb a lot. Did not like Art School Confidential when I saw it. I don't think I've watched this many movies in a period of a few months. Well, maybe I have. Scratch that.